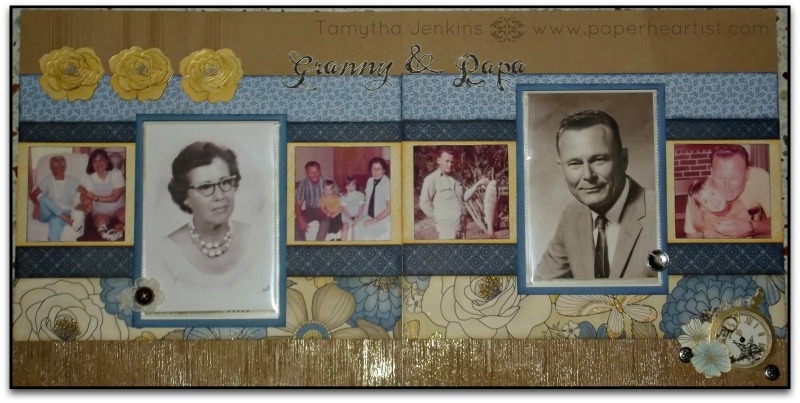 The second layout in my Close To My Heart Convention Album Contest was a layout that highlighted my grandparents. My grandparents did for me, what so many grandparents do today. They raised my brother and I. 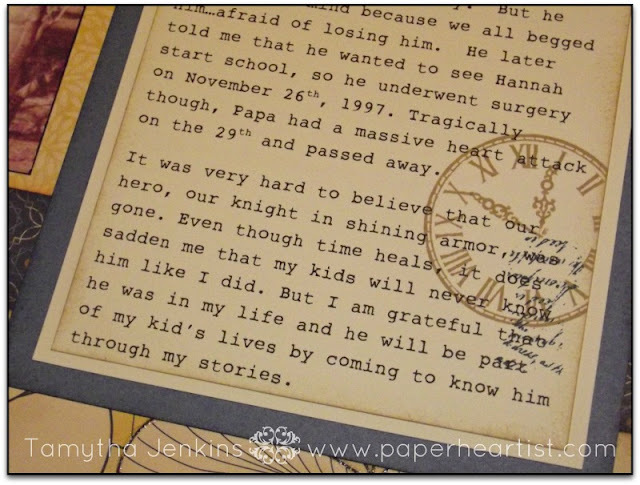 There was a lot of journaling that chronicled the events in my life that led to my brother and I coming to live with them permanently. This was a layout that has been long overdue. Time heals all wounds, or so they say. I don't know about "heal". Sometimes, I think loss is like a scab. It's there, helping to keep the pain at bay. Keeping things from getting worse. But every now and then, something comes along to knock that scab off and the wound bleeds and hurts again. That's kind of how I feel about Granny and Papa. I get busy with life and my own family that the loss of them doesn't hurt. 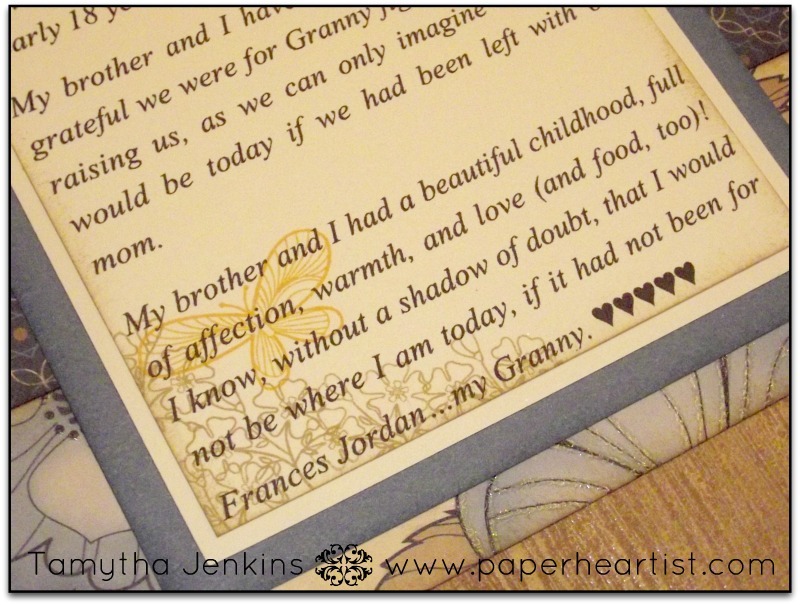 But every now and then, like making this layout, the hurt and loss comes flooding back. I do so terribly miss them and hope to see them again. 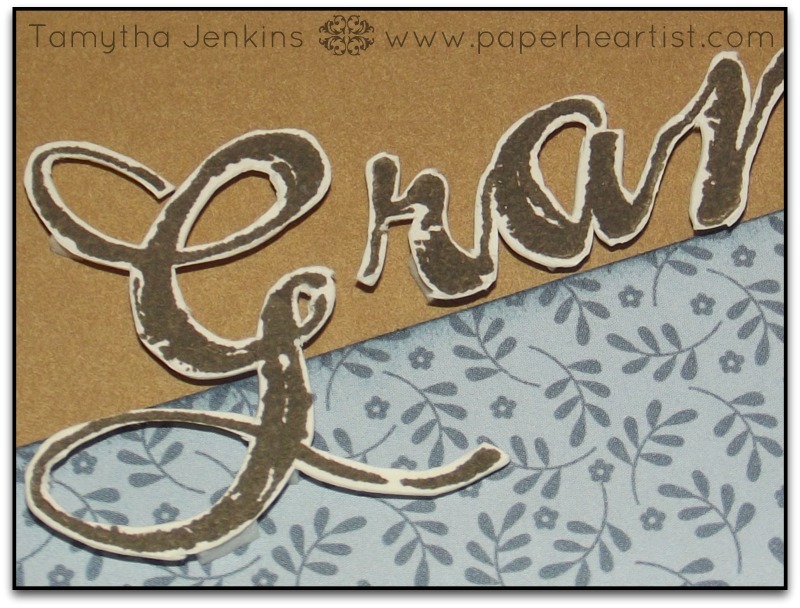 I stamped the Old World Alphabet with Cocoa ink and used a craft knife to cut it out. It does take some time to do this, but I love how it looks. The real tough part...trying to use itty bitty pieces of foam tape to pop up the letters. For each flower, I embossed the flower from the Word Puzzle stamp set with a mixture of gold embossing powder and prisma glitter, three times. I then cut them out at different levels, popping up each layer. Next, I used a glue pen and glitter for the flower center. 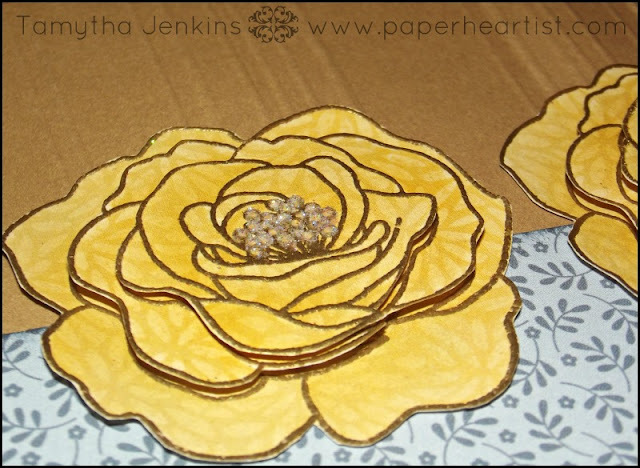 Finally, I dry embossed the desert sand cardstock in random lines just above each flower for some extra texture. I created a shaker element using the pocket watch from the Key Moments stamp set. I stamped the watch two times using gold embossing powder. I again used my craft knife to cut out the intricate flourishes on the bottom piece. 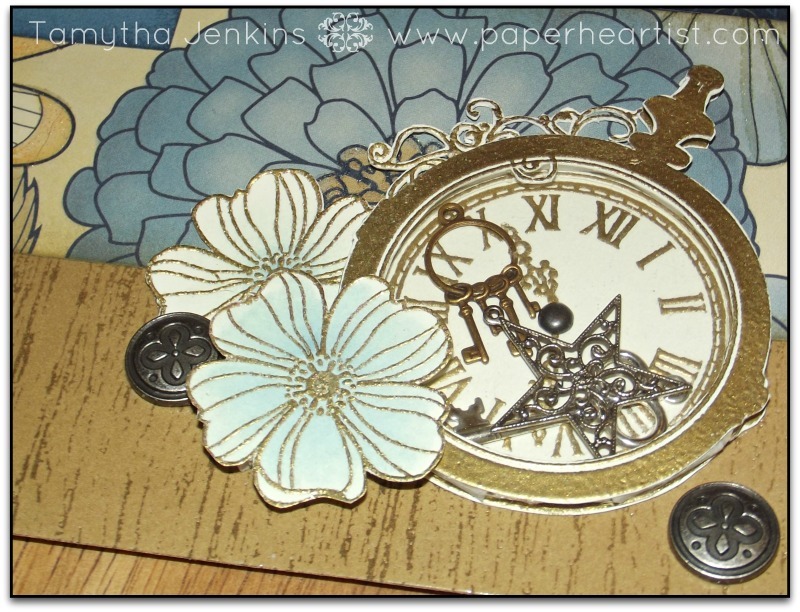 I then stamped the clock face in gold embossing powder and attached a pewter bitty brad in the center. Lastly, I attached a piece of page protector the underside of the second watch and added foam tape. Before adhering the top piece to the bottom piece, I added some charms that I've had in my stash forever. I also stamped the wood grain background stamp from the Universal Background stamp set on the bottom of the desert sand cardstock base page with clear embossing powder and then sponged desert sand and cocoa ink on top to give some color variation. 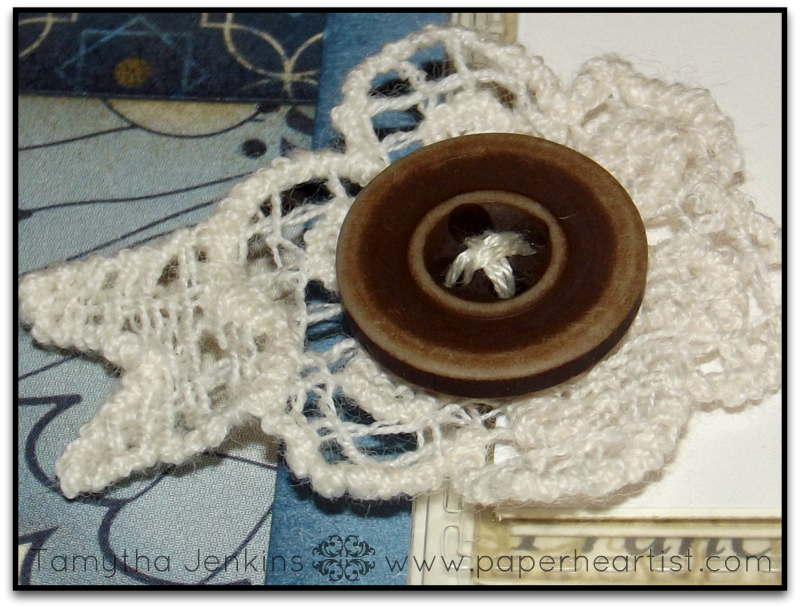 I sewed the button and crochet flower directly to the top flip flap. 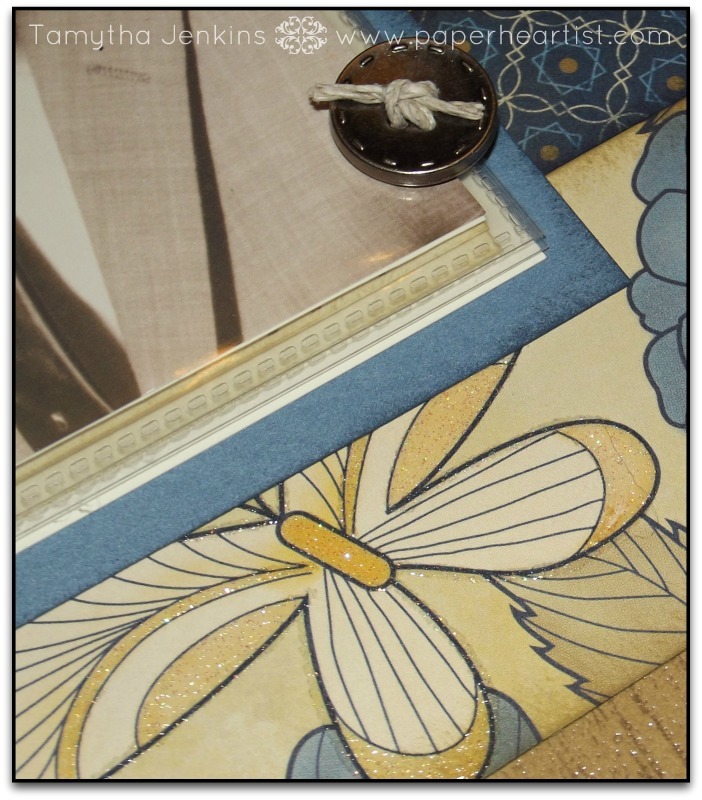 I also sewed the button and hemp on the top flip flap. What's difficult to see, is that all along the large pattern paper, I traced and in some cases, completely filled in areas with a glue pen and then added prisma glitter for a subtle touch. 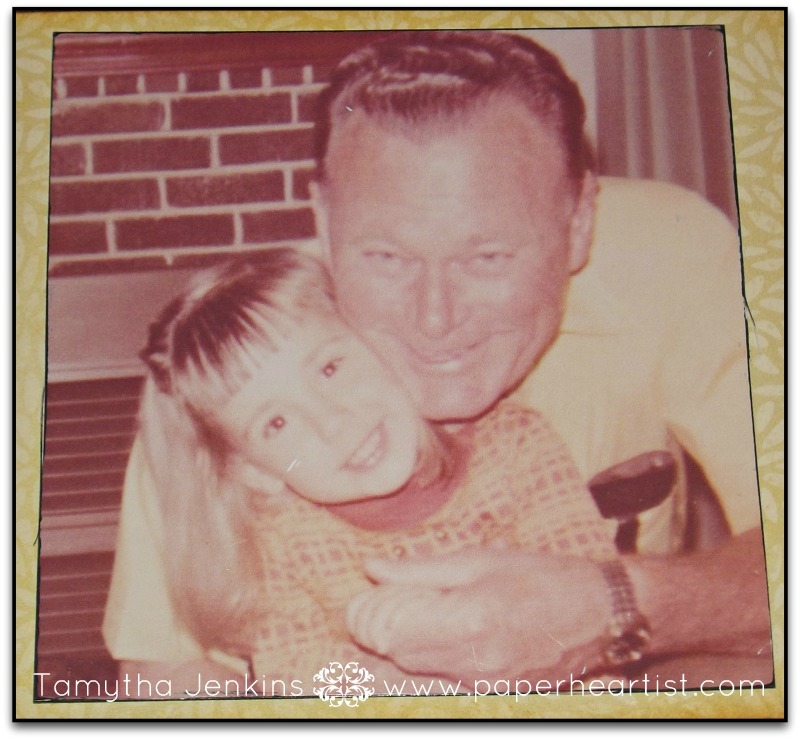 Both 4x6 photos each had two layers of flip flaps to contain all the journaling that I wanted to include about why they were each so important to me. Rather than leave the journaling pages plain, I used subtle colors to stamp images along the corners and edges of the journaling blocks. Again, I inked and stamped images on the journaling blocks to add a little interest. I also changed the font to make it a little more masculine and time period appropriate (if that makes sense). This is my favorite picture of all time with my Papa. When I look at it, I can feel his love and relive my happiness. Unfortunately, I realized while looking for photos for this layout, that the same problem plagued my grandmother that plagues so many moms today. She was always the one taking the photos, so there weren't many photos of her. Certainly not of her with just me or of her alone. Lesson to all...don't forget to get in some of your photos. I'll be back in a day or two with my third layout.